The international community, through Target 8.7 of the Sustainable Development Goals (SDGs), has committed to ending the worst forms of child labour by 2025. To do this, we need information: what are the forces that have driven child labour in the past decades? What is the role of economic conditions in fighting child labour? What role does policy play? 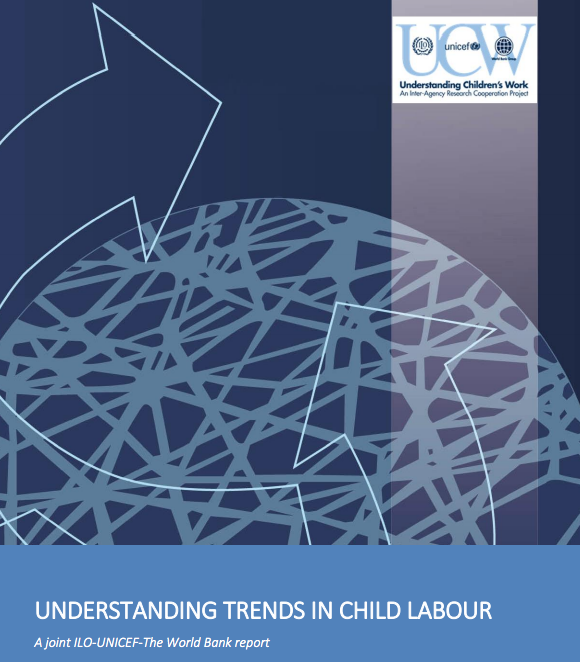 Research produced by the Understanding Children’s Work (UCW) programme shows how child labour and the fight to eradicate it differ across countries. Some countries have achieved a significant decline in child labour in recent years, while others have seen progress against child labour stagnate or even reverse. What are the reasons for this? The first, a cross-country analysis of 43 countries, highlights the importance of an active policy response to effectively fight child labour. It appears that only a limited share of progress can be attributed to structural factors. Instead, much of the recent decline in child labour rates can be traced to active policy efforts to improve access to education and school quality; extend social protection floors, including through cash transfer schemes; expand basic services such as water and electricity; and establish adequate legal frameworks against child labour. The second, a comparison of child labour trends in Brazil and Mexico, shows that, in addition to the factors mentioned, economic structural changes are important in reducing child labour. When an economy moves away from low-skill occupations, such as in the agriculture sector, to higher-skill forms of production, child labour becomes less common since higher-skill jobs cannot use child labour or require workers to be educated. It was also heartening to learn that there is a strong link between the ratification of international legal standards and progress in reducing child labour rates. The positive effects of legal measures accompanied by active policies means that government leadership—with support from civil society and other stakeholders—makes a difference. Child labour is inextricably linked to broader development objectives and addressing child labour is an important component of a national development strategy. This calls for a broad, integrated policy response to it and for a concerted action between government and international development agencies. Particularly important for the reduction of child labour rates is the ratification of ILO Convention No. 182 and the legislation and policy activities that accompany it. Our analysis of Brazil and Mexico showed that these policies were a key part of reducing the rate of child labour. The ILO has argued in the past that economic growth is important to reduce child labour, but that policy choices can matter even more. The results of this study support this assertion. Considering these findings, what is the way forward to combat child labour? We propose six steps. Governments and policymakers can take a leadership role. It is not only structural changes to the population and economy that affect child labour, and in fact, they have a relatively small effect on child labour rates. If we are to eliminate the worst forms of child labour by 2025, a multifaceted policy response is needed. While the complexity of child labour means that there is no simple solution, evidence suggests that integrated actions relating to social protection, education, labour markets, basic services and legislation appear to be important ingredients in the recipe for success. These strategic policy directions have been specifically set out in ILO action plans, including The Hague Roadmap. Policymakers do not need to start from scratch. Evidence from Brazil and Mexico indicates that expanding social protection floors can directly contribute to addressing the multidimensional economic and social vulnerabilities that promote and sustain child labour. Programmes such as the Bolsa Família in Brazil and Progresa in Mexico provide monthly cash transfers conditional on school attendance and other behaviours. Research shows that these programmes significantly reduce child labour and increase school attendance. The ILO Social Protection Floors Recommendation, 2012 (No. 202) sets out key principles for establishing national social protection floors. There is broad consensus that extending and strengthening schooling is one of the most effective means of preventing children from entering child labour. Evidence from Brazil and Mexico shows that investments in improving school access and school quality were crucial to getting children out of the workforce and into the classroom. Past investments in expanding school access helped create a current generation of parents more aware of the benefits of schooling, while current investments in school quality add to the perceived value of time children spend in the classroom. Higher economic demand for skilled labour can translate into increased education and lower levels of child labour. Investment in technology and higher-skill modes of production leads to greater returns on education in the labour market, incentivizing youth to stay in school—and out of work—longer. Expanding basic services is a priority in the fight against child labour when and where access to such services is limited. In Brazil, for example, increasing household water access through piped water contributed to the decline in child labour and increase in children’s school attendance. By making water available at or near homes, children were no longer needed for fetching water, reducing the value of their time spent outside school. The ratification of international legal standards correlates to a reduction in the prevalence of child labour. Therefore, making national labour legislation consistent is key. This includes translating the aims and principles of international standards into national law and setting the principles, objectives and priorities for national action to combat child labour. When national governments ensure their laws are consistent with intranational laws and standards it formalizes the State’s duty to protect its children. Child labour is a complex phenomenon, whose trends are determined by a variety of policy-related and structural factors. It is inextricably linked to broader development objectives and addressing child labour is an important component of a national development strategy. This calls for a broad, integrated policy response to it and for a concerted action between government and international development agencies, building on the pillars presented above. Furio Rosati is a project manager with UCW and a professor of public economics at the University of Rome (Tor Vergata). Gabriella Breglia is a researcher and programme manager with UCW. This article has been prepared by Furio Rosati and Gabriella Breglia as contributors to Delta 8.7. As provided for in the Terms and Conditions of Use of Delta 8.7, the opinions expressed in this article are those of the authors and do not necessarily reflect those of UNU or its partners.